Success in the restaurant business isn’t just about doing things right. It’s also about avoiding mistakes that, over time, mushroom into issues that can literally shut your doors. Check out these common mistakes restaurant managers make, and learn how to avoid them. Goals are meant to be shared. This goes for the overall mission of your business and all the smaller goals that will help you get there. Your staff can’t contribute to your success if they don’t know what that success looks like. When you share your mission and goals with your staff, break them down into clear team objectives. When you do this, you show employees their place in the big picture. And by outlining goals to help them achieve the mission, you give them something to shoot for together. At great restaurants, training is a process, not an event. Your staff is your most important resource. 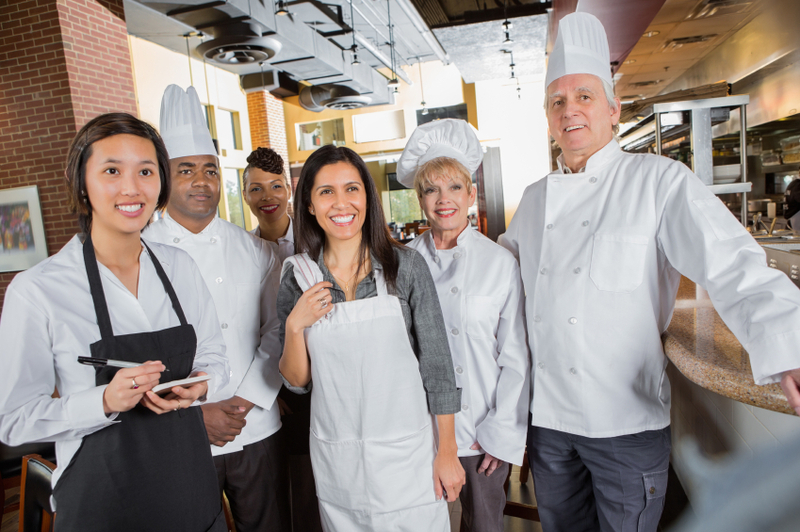 Recognize employees by training and re-training them monthly, daily — even hourly, customizing your approach to suit every greeter, server, bartender, busser, cook and dishwasher. Use a blended training strategy, implementing a variety of styles including online courses, pre-shift meetings, and on-the-job mentoring. You can’t do it all, even if you wanted to. Not only does effective task delegation help you keep control of your to-do list, it also helps employees learn and grow in their positions. When delegating tasks, make sure employees have the tools they need to be successful. Most importantly, focus on the end-game. There is more than one way to complete most tasks. If you’re clear about the goals and standards you expect, then methodology shouldn’t be an issue. Communication is key to successful restaurant management. You have to communicate effectively with your staff – both front of the house and back of the house – and you have to make sure both those teams are communicating with each other. To keep your restaurant operations running smoothly, you have to communicate effectively with vendors. And, most importantly, you have to communicate effectively with guests to ensure they’re happy with their visits and likely to return. Be clear in all your communications, and be sure to listen as much as you speak. The final issue on our list of mistakes restaurant managers make is overlooking guests. As a manager, you set the tone for the service your staff delivers to guests. To ensure every guest receives exceptional service, you need to be on the floor, front and center, leading the charge. If you spend the shift in your office, only to be bothered in the event of a crisis, your employees will pick up on your indifferent approach to guest service. But if you’re out interacting with guests, in good times and in bad, you’ll be setting the example that guest service is a priority. People new to management positions are often the most vulnerable to the biggest mistakes restaurant managers make. Check out this handbook for new managers — Leadership Now: Achieving Restaurant Management Excellence In 30 Days.